Beth Tfiloh Dahan Community School is recognized as one of the top college preparatory Jewish day schools in the country. 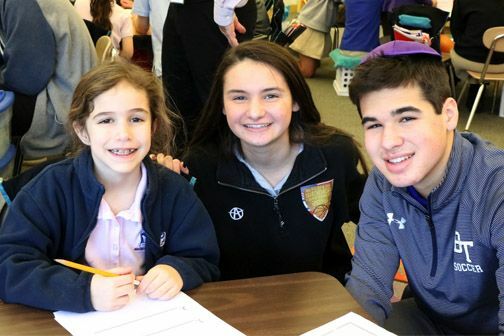 Offering a complete continuum of education from PreSchool through High School, our school embraces families from all branches of Judaism as part of a caring community that celebrates the joy of Judaism, emphasizes values and mutual respect, and champions each child. We provide not only outstanding academics but a wealth of opportunities for students to excel – in the arts, athletics, science, technology and leadership. Our graduates are extremely well rounded, respectful women and men with a broad world view who have distinguished themselves as leaders on college campuses and beyond. For more information, visit our SCHOOL WEBSITE.